A young rider gets to know a new pony, adjust to a new sibling and learns a lot about secrets in this charming follow-up to Pulitzer Prize winning author Jane Smiley's Riding Lessons. Ellen can't stop thinking about the racehorse Ned - and the secret she shares with him. There seem to be a lot of secrets in Ellen's life these days. Secrets between friends. Secrets within families. Secrets that are all her own. And secrets her parents are keeping from her that could change everything... One thing that's not a secret is how much Ellen wants to jump. The horse she's riding nowadays is Hot Potato - a pony she can trust, and learn to jump with. But can he really take the place of Ned? 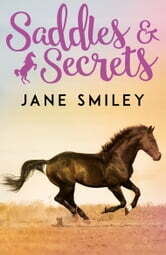 And what if her parent's secret threatens her ability to go to the stables at all?